Scavenger Receptor, class B, member I (SR-BI), also known as CD36-like 1 (CD36L1) and CD36 and LIMPII Analogous 1 (CLA-1), is a transmembrane glycoprotein that belongs to the class B subfamily of scavenger receptors. It is composed of a large, heavily glycosylated extracellular loop, two transmembrane domains, and short intracellular N- and C-terminal domains. 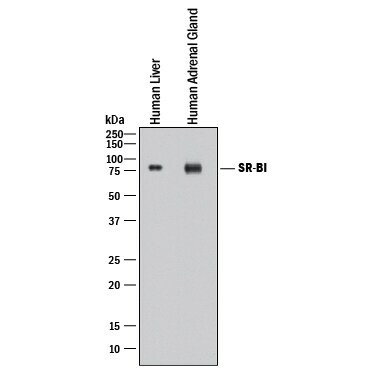 Human SR-BI is 552 amino acid (aa) in length with a predicted molecular weight of approximately 60.9 kDa. It shares 68% aa sequence identity with the mouse and rat orthologs. Alternative splicing produces a variant, termed SR-BII, that has an entirely different, yet highly conserved, C-terminus. SR-BI functions as a lipoprotein receptor. 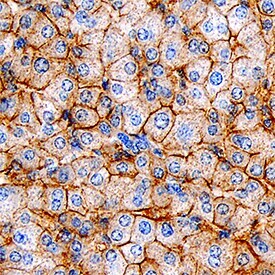 It is most abundantly expressed in liver and steroidogenic tissues, and on macrophages. 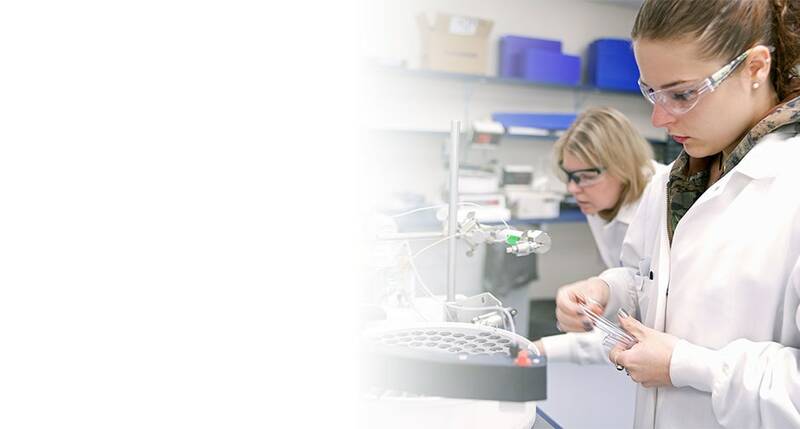 It has been shown to function in reverse cholesterol transport, which is the transport of cholesteryl esters from macrophages back into the liver for degradation. SR-BI also plays a role in nitric oxide production in endothelial cells, thereby attenuating monocyte adhesion, cholesteryl esters uptake in adrenocortical cells for the synthesis of glucocorticoids, inhibition of platelet aggregation, and bacterial uptake by immune cells. "SR-BI" has 5 results in Products.